The Consumer Product Safety commission now recommends that only cordless window coverings be used in homes with small children. Cordless blinds and shades do cost more than other varieties, but they have some real advantages. They’re not only safer for pets and kids than corded ones, but they’re also sleek and smart, and available in a wide range of styles. There are cordless options to suit any budget or style requirement, from low-end aluminum slats through premium wood blinds. And in addition to the ubiquitous cellular shade, you’ll now find cordless versions of top-down, bottom-up cellulars, which can be operated from either end. 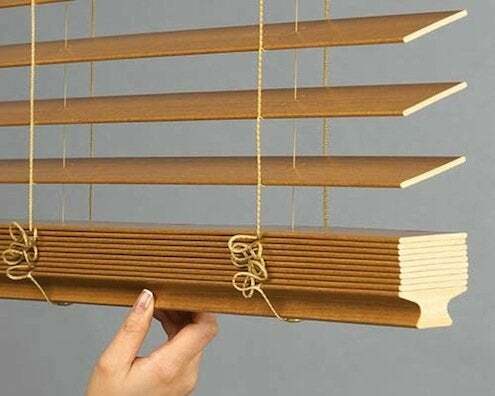 Even roman shades, in a variety of fabrics, can be found cord-free. They’re easy to operate: just push or pull on the bottom rail to activate the concealed mechanism that raises and lowers the blind. So when you’re looking for window coverings, consider going cordless. The higher price buys you not only beauty and convenience, but peace of mind.